Pasadena, CA (January 26, 2015) – The Planetary Society today announced the first of its LightSail spacecraft will embark on a May 2015 test flight. Funded entirely by private citizens, the solar sail satellite will hitch a ride to space aboard an Atlas V rocket from Cape Canaveral Air Force Station in Florida. The mission will test LightSail’s critical functions, a precursor to a second mission slated for 2016. That second flight will mark the first controlled, Earth-orbit solar sail flight and ride along with the first operational launch of SpaceX's Falcon Heavy rocket. 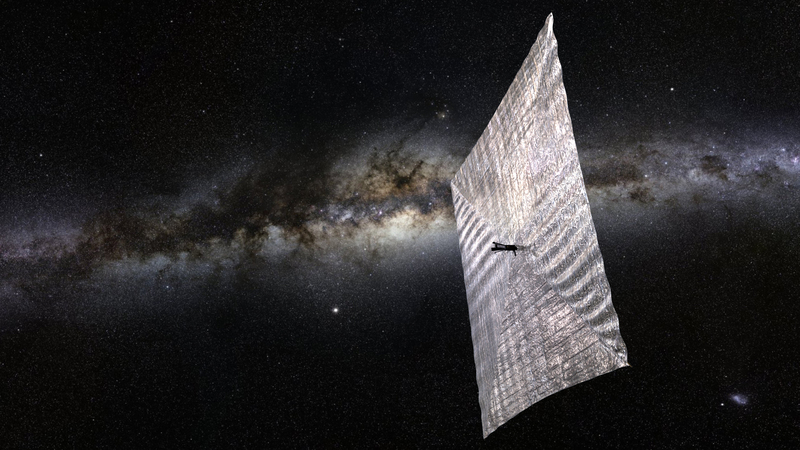 “There's an old saying in aerospace, 'One test is worth a thousand expert opinions.’ After six years of development, we're ready at last to see how LightSail flies," said Bill Nye (The Science Guy), CEO at The Planetary Society. "LightSail is technically wonderful, but it's also wonderfully romantic. We'll sail on sunbeams,” added Nye. “But wait, there’s more: this unique, remarkable spacecraft is funded entirely by private citizens, people who think spaceflight is cool." Solar sailing works by using sunlight for propulsion. When solar photons strike LightSail's reflective Mylar® sails, their momentum is transferred to the spacecraft, gradually accelerating it through space. While the push from photons is miniscule, it is continuous and unlimited. Solar sails can eventually reach greater speeds than those obtained from chemical rockets. LightSail consists of four identical triangular sails attached to four 4-meter booms, resulting in a square solar sail when fully deployed. The 2015 test flight will not carry the spacecraft high enough to escape Earth's atmospheric drag, and will thus not demonstrate controlled solar sailing. Once in orbit, the spacecraft will go through a checkout and testing period of about four weeks before deploying its solar sails. After the sails unfurl, LightSail will test its attitude control system and study the behavior of the sails for a few days before it is pulled back into the planet's atmosphere. Key images and data on the spacecraft's performance will be sent to ground stations at Cal Poly San Luis Obispo and Georgia Tech. 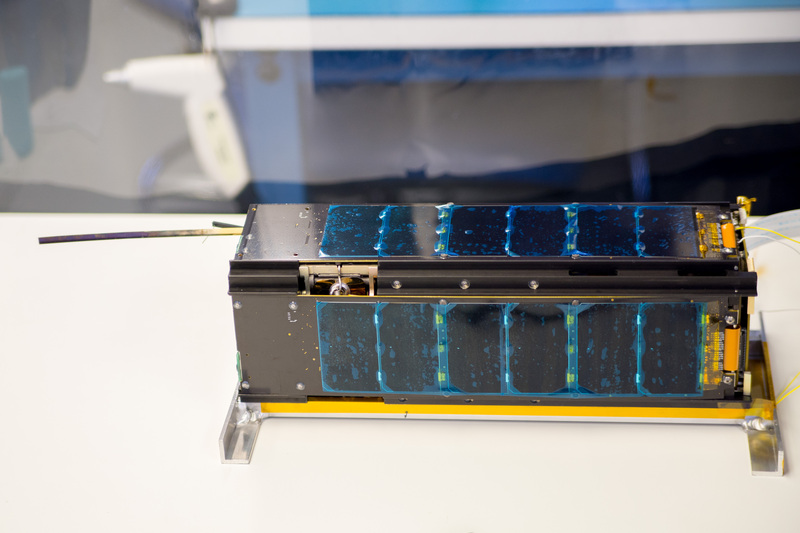 LightSail is packaged into a small spacecraft called a CubeSat. CubeSats have made low-cost space missions a reality for universities and research groups. However, providing propulsion for these tiny satellites has been a major challenge. 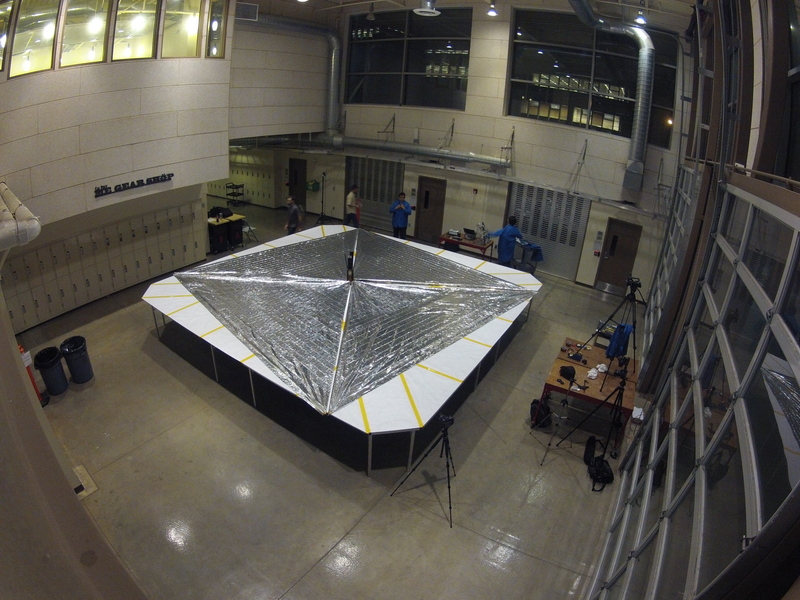 LightSail will demonstrate the viability of solar sailing for CubeSats. The spacecraft was designed by Stellar Exploration, Inc., in San Luis Obispo, Calif. LightSail's lead contractor for integration and testing is Pasadena, Calif.-based Ecliptic Enterprises Corporation, a space avionics and sensor systems firm best known for its popular RocketCam™ family of video systems used on rockets and spacecraft. The Planetary Society's solar sailing involvement was started by Society co-founder Louis Friedman more than a decade ago. The LightSail project is managed by Doug Stetson, founder and principal partner of the Space Science and Exploration Consulting Group. “LightSail is truly ‘the people’s satellite.’ Thanks to our members, the dream of citizen supported solar sailing will become a reality; the vision goes back to our founders, Lou Friedman, Bruce Murray, and Carl Sagan. We encourage space fans worldwide to join us on LightSail’s journey. Together we can change the world.” Nye concluded. For complete LightSail coverage, visit sail.planetary.org.